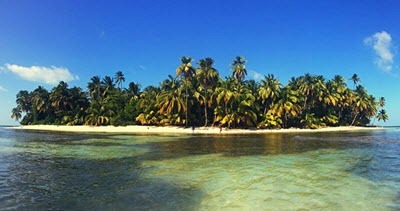 Many people who visit Cocos Island also take the time to explore one or more of the cays (keys) located off Nicaragua’s Caribbean coast. Rama Cay is an island in the Bluefields Lagoon. After the Rama people had helped the Miskito people fight off the Terraba people, the Miskito gave the island to the Rama as a sign of their gratefulness. Today, a majority of the Ramas live on this island. Most of them speak Rama Cay Creole English instead of the Rama language, a shift that started when the Moravian church established a mission on Rama Cay in 1857. Rama Cay Creole is similar to Miskito Coast Creole. 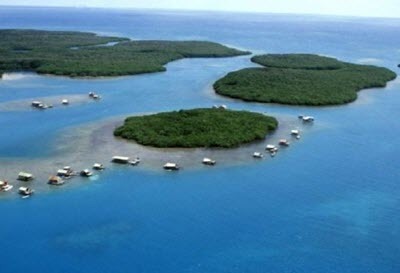 The Pearl Cays is a group of 18 cays located roughly 35 km from Laguna de Perlas. The sandy beaches of these cays form important nesting grounds for sea turtles. A day trip to the Pearl Cays by boat can be arranged from Pearl Lagoon on the mainland. Expect the ride to take at least one hour and be rather bumpy. The cays are small and no one lives here, so what ever you need – from food and water to sunscreen and fishing gear – must be brought with you. Once here, you can enjoy sandy white beaches, beautiful palm trees and a truly relaxing atmosphere. Some of the cays are so close to each other than you can swim between them, exploring them without getting back on the boat. A trip to the Pearl Cays can be arranged with most hotels in Pearl Lagoon, or you can speak directly with the fishermen. The price is often per boat, not per person, so getting a group together is a good idea. The Miskito Cays are an archipelago composed of islets, cays, coral reefs and estuaries. A dozen of the islets are covered in vegetation and lined with white sandy beaches. The largest of the cays is Cayo Miskito, also known as Cayo Mayor, which measures 37 km². The Miskito Cays Biological Reserve was established in 1991, and in 2001 the Miskito Cays were recognized as a Ramsar Wetland in accordance with the Ramsar Convention. 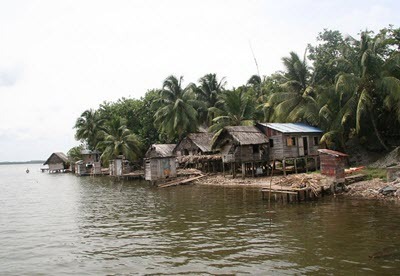 The Miskito Cays are inhabited by small fishing communities who live among the mangrove trees. If you want to visit, you can contact the Nicaraguan Institute of Tourism in RAAN and they can put your in touch with fishermen who offer boat rides from the mainland. You typically pay per boat, not per person, so getting a group together is a good idea. Make sure you know exactly what’s included in the price and what isn’t, e.g. when it comes to fuel, lunch, and guide. Boats departing from Guililandin Beach, near downtown Bilwi, typically need 3-4 hours to reach the Miskito Cays. The Mara Cays and Wiptic Cays are located more than one hour away from the Miskito Cays and are rarely visited by tourists.